Welcome to a new week and a new opportunity to work away on a project that perhaps you’ve been wanting to start or have been struggling to chip away. I had a rough work week over the past seven days, so I for one am taking advantage of this fresh new week to get to work on my projects. I hope you can do that too! I believe that every great once in a while, a writer experiences something I call an “über-block.” Essentially, at least in my experience, an über-block is like writer’s block but a lot worse. 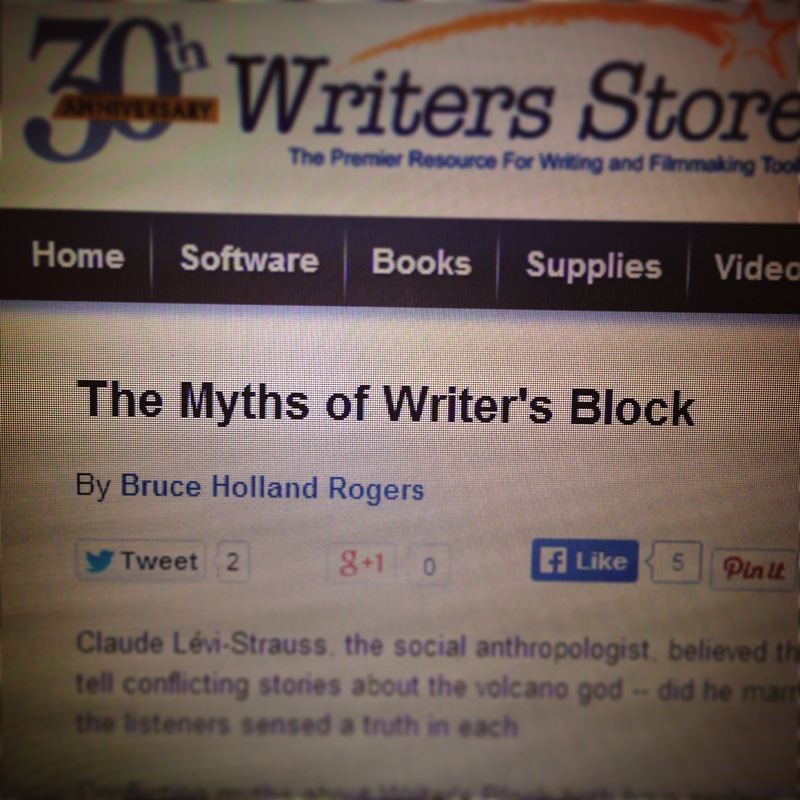 I have seen some interesting articles that bring forth the notion that writer’s block is a myth, that it is merely an idea. Take this article I found, for example (link will open up a new tab), which comes from the Writers Store. The term “writer’s block” can mean different things for different people. So whether you’re a believer in it, or think it is something else, I think it is a valid point to consider. Returning to the über-block idea, I would like to say that I don’t believe that writer’s block is a “disease” but rather a state of mind. So taking into account what “über” means (an outstanding or supreme example of something), you can probably guess that whatever kept me from writing was something significant. The reason for my lack of writing–whatever it was–was a rather “outstanding” or “supreme” reason. 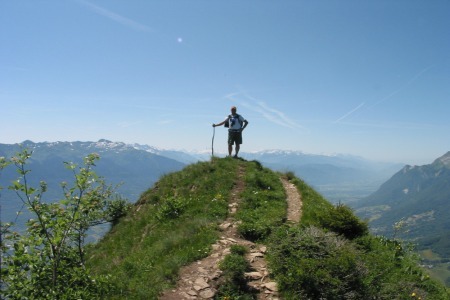 We all encounter hardship and tests in our lives, and the difficulty and tension springing from those situations often overflow into our work and leisure activities. Throughout the week, I found myself with little motivation, but also filled with the want to get things done. It was an odd mixture of feelings. I’m sure you or someone you know has experienced that at one time or another. At first only a little time had passed where I hadn’t accomplished much of anything, then it kept going for one, two, three, four, five days. That’s when it occurred to me that the writer’s block [insert your definition here] I was experiencing wasn’t a normal type of block, but rather an über-block, an outstanding version of the idea. And so, I want to use this time now to offer my advice for this kind of situation. After reflecting on the past week, I have concluded that it was a point in my writing cycle that was a valley and not a peak. In the up-and-down cycle of writing, it was definitely a down time. 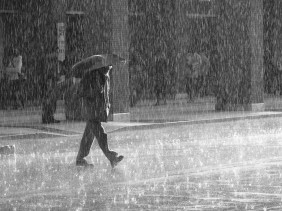 Before you chalk it up as a reason to stop writing or to avoid it, take a moment to consider this illustrative analogy: you can’t enjoy the sunny days without some rainy ones. What I mean by this is simple–you aren’t always going to have great writing sessions occur, spectacular ideas flow constantly, or fantastic book sales month in and month out. And on those down days, you must look at it as an opportunity to evaluate what you are doing and move forward from there. Maybe you’re not necessarily doing anything “wrong.” Maybe you just need to give your creative mind a break. Go ahead and do just that. It works wonders, believe me. So to come full circle, let me say this…my upcoming book, Unguarded: Book Two in the “Faces of the War” Collection, hasn’t moved far from where I left it last week. But that isn’t a bad thing. My brain needed a recharging session instead of a writing session, and in the grand scheme of things, I’d rather do that than risk stale writing. So if you ever think you’re experiencing whatever represents writer’s block, or worse–über-block–to you, remember this blog and the fact that it’s okay to not always be moving forward with your work. Take it as an opportunity to regroup and prepare to start your next writing session by tackling whatever project is on your plate. For on that day, I am sure the sun will shine brighter than you thought it would! I hope this blog finds you in good health, and that you are fairing well in whatever project you might be working on! This past weekend, I forwarded the first part of Unguarded (roughly one-third of the book) to my editor, and writing has continued on the second part. 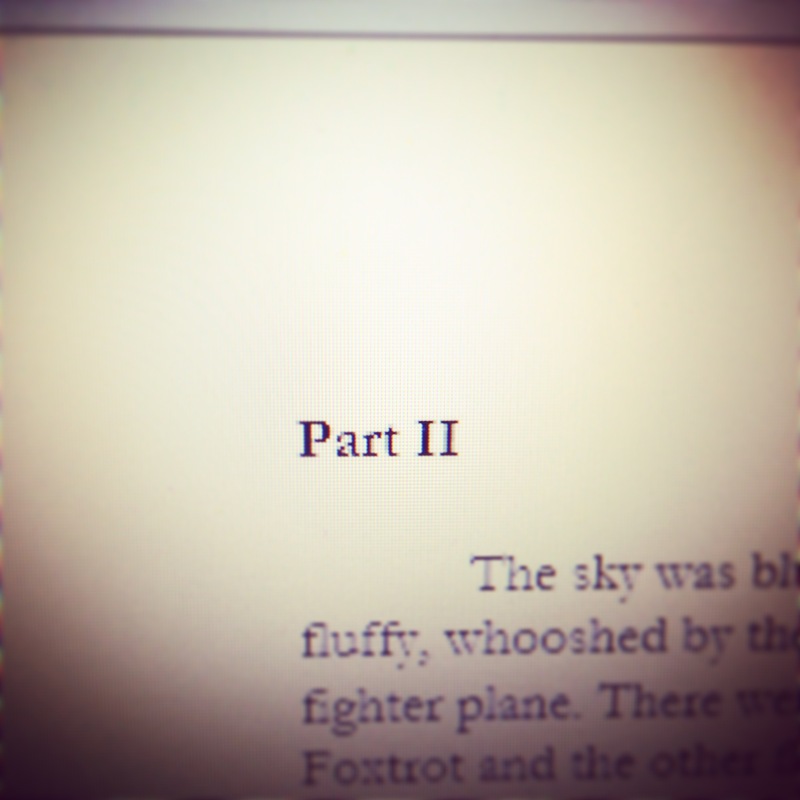 I am getting very excited to see where the next couple of weeks take me in my writing. I am even more excited to see what you, my readers, think when you first journey through the story. I would like to encourage you to subscribe to my mailing list, if you haven’t already. I send out a newsletter twice a month via email that includes book-related information and behind-the-scenes details of my upcoming projects. Not only would you receive the information before “everyone else” in the Eli Kale community, but it is more detailed information tailored to a VIP-type of audience. I want to really have a personable relationship with my readers! 2. Input your name and email address, and include a little note to me stating that you wish to be added to the Mailing List. 3. You’ll receive the newsletter that is next in line to be published. If your subscription is close enough to a recently sent out newsletter, I’ll send a late copy of it to you personally! And that’s all it takes! There is already some good information coming out through these newsletters regarding my upcoming book, Unguarded, which is the second book of the “Faces of the War” collection. 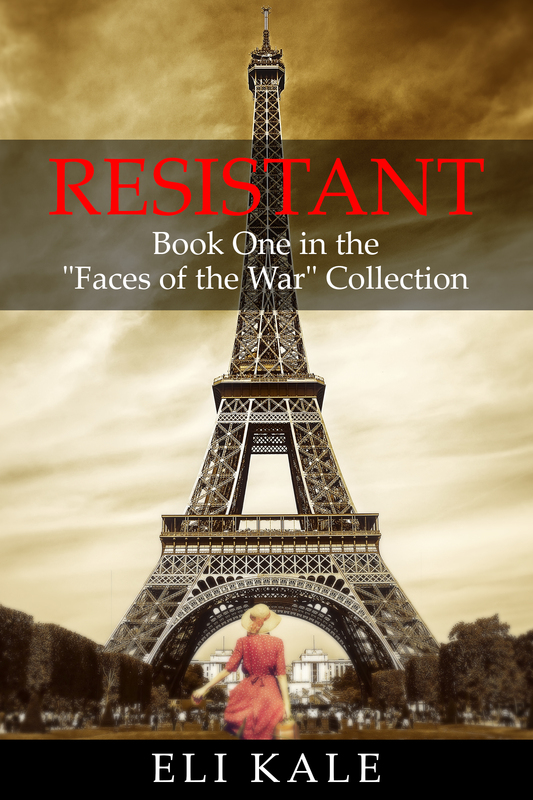 You can find sales links and reviews for the first book, Resistant, here. The next issue of the newsletter will be posted this week, so sign up today! “The book is a fictional story of a woman’s journey as a resistance fighter during WW2 in France. Something I noticed at times was a grammatical error or interesting sentence structure, which is okay since the book is self-published, and at the same time I thought it was brilliant if it was intended. The reason I think it would be brilliant if it was intended is because the narrator is a French woman by the name of Rienne. It is written in a way as if she is talking to you telling you the story. I pictured her as an old French lady with a French accent, so it would only be natural that she might have an error or two as she speaks since English wouldn’t be her first language. It made me appreciate the story even more and relate to her character. I hope that you too will leave a review and star rating for Resistant on Amazon if you have already read it or plan to read it. I would greatly appreciate it! I hope this blog finds you well and in good working spirits! I am ready to get back to work after an eventful weekend. 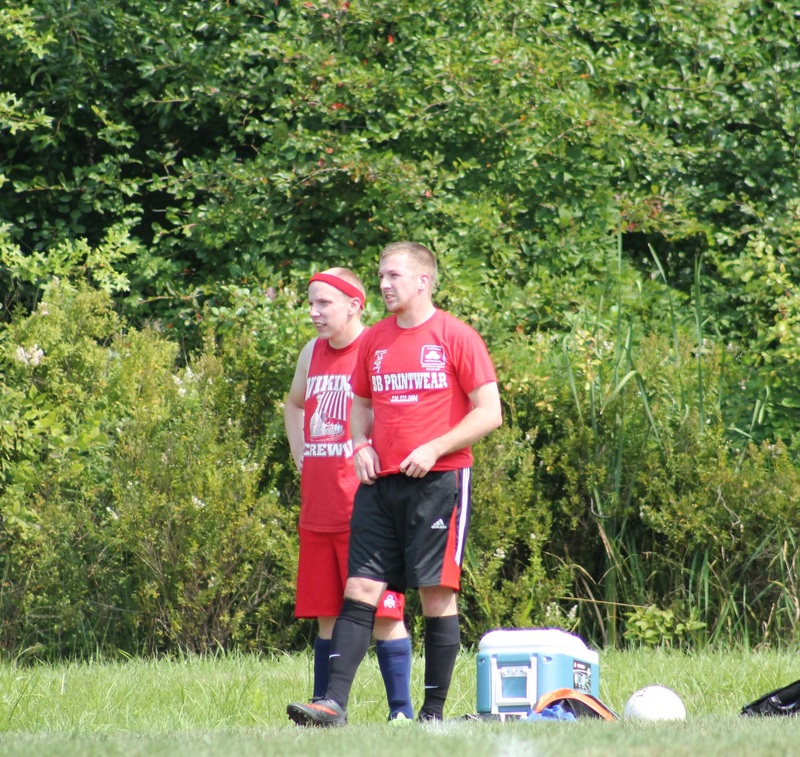 I traveled to my hometown to play in my high school’s alumni soccer game (which the alumni won 5-2, one of the goals contributed by yours truly). Afterward, my wife and I went out to lunch with some of my very good, longtime friends and their significant others. If I can say one thing, it would be this: I encourage you to never forget your roots and to always cherish your friends. For my first book, Resistant, the final word count totaled just shy of 38K. For the story I was telling, that word count seemed appropriate. As an author, you don’t want to throw words on the page just to reach a certain word count and risk sacrificing the story’s quality. However, many reviews of that book called for a longer story. So, I am planning ahead for subsequent books in the “Faces of the War” collection to be in the upper 40K range for word count. Because of this, I want to go back and expand the story in Part I of Unguarded so all of the parts in the book are relatively similar in size to the first book (at least proportionately speaking). I think you’ll understand better when you pick up the book. I am getting really excited to see how Unguarded will develop. It started out as a skeleton structure when I began writing a few weeks ago, and it is really beginning to take shape. And the best part is that I’m actually ahead of the original schedule that I laid out when I started this project. That is something really satisfying, and it makes me want to do more! I wanted to include a little tidbit in today’s blog about KaleMail, the newsletter I send out two times per month to my mailing list subscribers. The list is growing, and the first issue of the newsletter was sent out last week. I surprisingly didn’t have any subscribers throughout the whole process of production for Resistant, but now it’s finally starting to pick up. The idea behind KaleMail is that subscribers in essence become VIP members of the Eli Kale community, receiving details and information on me, my projects, and my currently published books before the rest of the community hears about it. So if you want to get that kind of information as soon as possible, please subscribe. The process is really simple! I also wanted to reiterate my idea about adding another scheduled blog post to the week, probably on Thursdays, that will feature information and tips from me on writing and publishing. But if I were to do this, I’d really like to hear from YOU, my readers, with regards to questions or issues you may have related to these topics. That will give me some material to work with, thus making the posts more interesting and relatable. Please consider commenting or emailing me feedback so we can get this started together! Today marks the beginning of a new week, which means another chance to sit down and work at something I truly enjoy. I hope you seize any opportunity presented to you to do something you love. That is, in my opinion, part of the meaning of life! I believe you all will be happy to know that I am moving right along with Part II of my WIP (“work in progress,” if you didn’t know), UNGUARDED. It is the second book of the “Faces of the War” collection. You can see my first book, RESISTANT, on Amazon and Barnes & Noble, among other places. As I have said before, I am aiming for a New Year 2015 release, probably in late January. If for some reason I am delayed during the process, it will be pushed back to February…but I don’t foresee that happening! Things are very much on schedule on my end. Keep an eye out for details over the next few months, as I will release bits of information about the book a little at a time in the buildup to its release. There is one thing you can do to make sure you hear the information first: join my mailing list! I would really love to see my readership grow, and I think an expanding mailing list is a great way to do it. As a member of the mailing list, you would receive updates and details before I post them on this site. So if you think about it, it’s kind of like a VIP sort of thing. Pretty cool, huh?! 1. Go to this page here. 2. In the field boxes, type in your Name and Email (just delete my example Name and Email). After that, I will add your email to the mailing list, and you will be part of the Eli Kale community! I really want to make this something YOU can benefit from and enjoy, so please let me know if something doesn’t look right in the emails you’ll receive from me, or if there’s something in particular you’d like me to include in subsequent emails. I really want to make this a close-knit thing, not a scheduled post that seems like it was made by a drone. I encourage you to pass the word along to a friend. You never know who might like the stuff I write or the things I talk about! It is very much appreciated on my end.